Welcome to Maggie's Farm, the leading medical and recreational marijuana company in Colorado! All of our products are sun-grown from seed in soil that is 100% custom-mixed onsite. Our products are spring-watered, slow-cured and hand-trimmed. And we do not use any pesticides OR growth hormones. 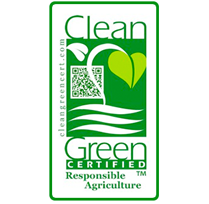 In addition, we have been Clean Green Certified™ for the past 6 years, which is certification of organic standards and testing that mirrors the USDA organic certification. We offer only premium medicinal and recreational marijuana to our patients and customers. Our loyal fan base consistently recognizes and praises our carefully crafted product. 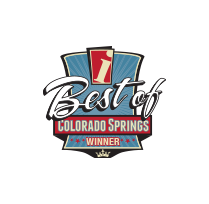 Maggie's Farm has won more customer-based 1st place awards than any other cannabis company in the area. 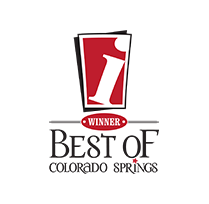 Since 2013 to present day, we have earned the majority customer first-place vote in every region that we operate. Please visit any one of our convenient Colorado Springs, Cañon City, Manitou Springs, or Pueblo locations today to see why Maggie's Farm is Southern Colorado's Most-Awarded Cannabis Company! When you shop at Maggie's Farm our friendly and knowledgeable staff will help you choose the right strains and products to best meet your needs and expectations. The care we take in growing our flower and our exceptional customer service are just two reasons why Maggie’s Farm is a leader in southern Colorado marijuana. Come see us and experience the difference...From Our Farm to Euphoria™. 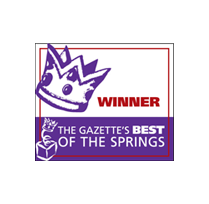 Click on the awards below to find out just how extraordinary we are. We've got you covered, SoCo! Please come visit any of our 7 convenient Maggie’s Farm locations throughout southern Colorado ⎯ where our friendly and knowledgeable staff will help you find just the right products and strains to best meet your needs and expectations. Hwy 24 & Manitou Ave. The staff is very down-to-earth, friendly & helpful. It is run like a well-oiled machine! Maggie's Farm is top notch. I love the point system and receiving texts about the weekly specials! You all Rock! One of my favorite recreational shop visits. Great, friendly staff. They educated me, which I've never had at any other dispensary. Great product! Got bang for my buck! Want to visit all recreational Maggie's! I really like going to Maggie's Farm, whether it is in Canon City, Pueblo or Manitou Springs. The staff is friendly and informative, and always ready to answer any questions. I like the fact that there are no artificial pesticides used. I can't stress enough that the service and selection at Maggie's is the best in town and all the bud tenders I've dealt with have been very helpful and knowledgeable. Definitely gets 5 stars! Very clean, great service, and priced well. Will always recommend Maggie's to friends and family. Keep up the great work! Maggie's members always get a great experience every time they shop. 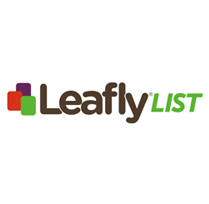 Knowledgeable budtenders, great selection, loyalty rewards, and the best sun-grown product. Color, taste, tightly-compacted, quality buds, and the exclusive strains are plentiful! Maggie's Farm is the best... never seen or smelled this must good Marijuana ever in my life.. I'm so thankful for coming to CO. And researching Maggie's Farm. It's to die for.. hands down. Bomb.com. These guys rock. Friendly, knowledgeable staff, top notch meds, good pricing. Cleanest shop I've ever been to. I have brought guests who visit from out of town through this store for little edibles, but mostly for the experience. The employees here are very helpful, informative and they know how to move the line efficiently. I am impressed by their ability to be so frank and explain things in plain English to those of us who don't speak "marijuana." Lol. Good job guys! © 2019 Maggies Farm Marijuana. All Rights Reserved.